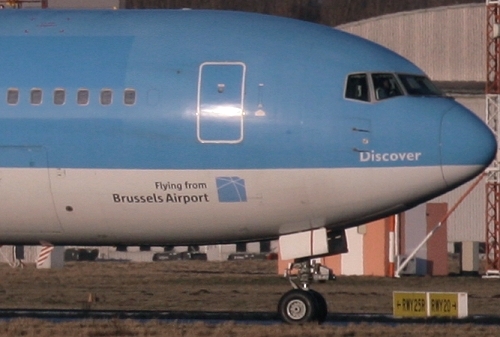 Description: the first (second hand) B767 of TUI Airlines Belgium was delivered in their full livery at Brussels on December 24 2004, still registered as "PP-VOL" of previous operator Varig. 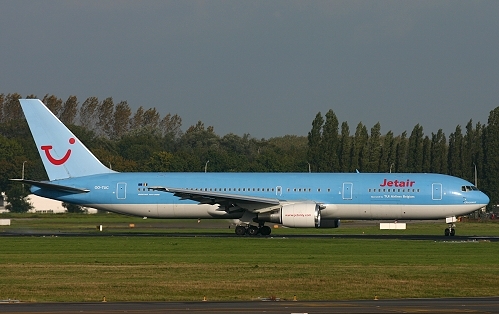 It was temporary reregistered "N484TC" of the leasing company, but on January 10 2005 officially entered the Belgian register. Baptized "Discover", it went operational from February 11 onwards. 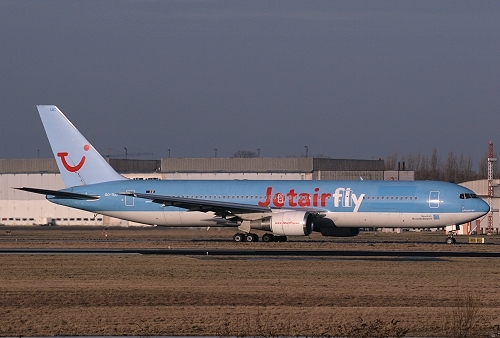 Description: on November 24 2005 its flying division was renamed to Jetairfly. 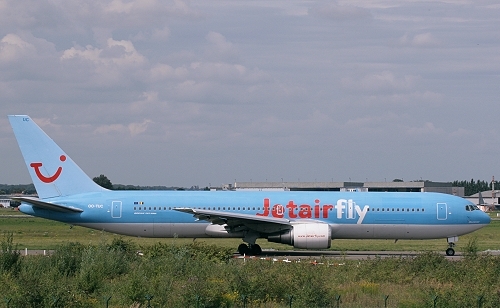 Description: since February 2008 wearing additional small stickers promoting Brussels Airport.. Description: detail of this sticker. Description: on October 11 2009, it arrived from Maastricht after been painted in neutralized markings as part of making charters on behalf other tour operators like Thomas Cook, Club Med, Neckermann, etc. 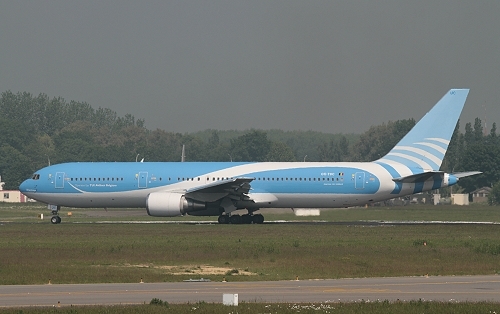 Description: after maintenance at Taipei, it arrived with winglets on May 4 2011 becoming operational the next day. 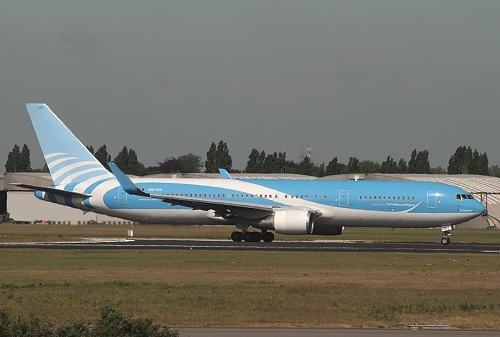 Its final commercial flight was made on September 14 2013. Five days later it was ferried to Stuttgart Municipal Airport in the States where it will be broken up.